Happy New Year! January 2018. It feels fresh and it feels like it’s going to be a good year, maybe even a watershed one. 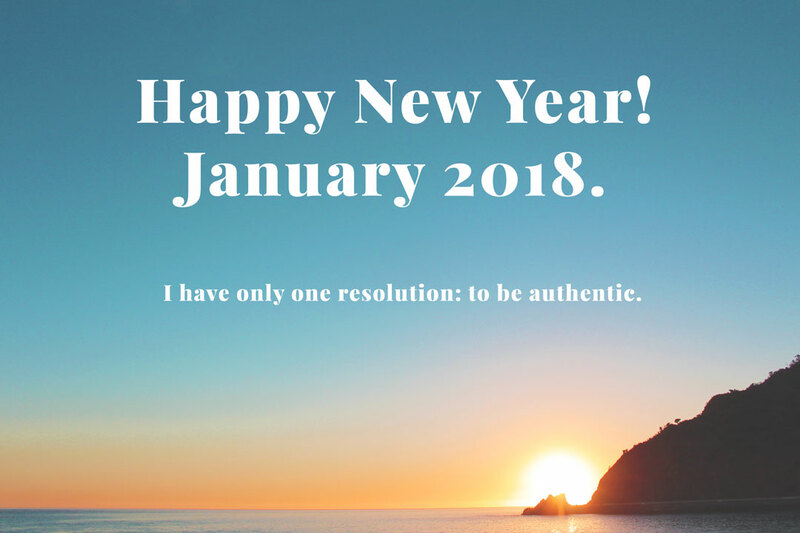 I have only one resolution: to be authentic. With all the responsibilities life throws at me, being genuine sometimes slips to the bottom of the pile. Not intentionally, of course, but busyness often has me putting myself on hold while taking care of others. Sadly, this failure to affirm or even acknowledge my own needs develops into a default setting. I still remember the first time I thought about being authentic. The idea of being fully real crystallized for me while I was taking a summer drama course at the Royal Academy of Dramatic Art (RADA) in London. On day one, with very little prior acting experience, I agreed to perform in front of the class the key monologue from Saint Joan by George Bernard Shaw. In the scene, Joan has just been handed her sentence—life imprisonment rather than being burnt at the stake, the martyrdom she prefers. She is incensed, reprimanding, scornful and inspirational, all in one go. Doing my best, I rampaged my way through the delivery, imagining myself a sort of quasi-military teenaged commander. My captive audience shrank in their seats, averting their eyes, in that awful way that lets you know your performance stinks. I had that sinking feeling in my stomach immediately. I’d pitched the speech so wrong—overly loud, overly bombastic and overly clueless. Pretentious even. After class, I met up with sympathetic friends who commiserated. Unlucky day. Unexpectedly, as I shared how I felt about the experience—sad, humiliated, let down, defeated, incompetent, unreal—something jelled for me. The truth feels different. There is no substitute for the real thing. As the director had requested a second attempt the next day, I read over the monologue that night—tucked up in bed, praying. How did I approach this? I knew I had to be authentic, genuine, and alive. But how, really? I thought of my friends, the empathizing and the conversation we’d had earlier. What made that heartfelt as opposed to my poor rendition of Joan? Instead of someone far removed, I began to think of her as being present, right there with me—cross-legged on the bed, feeling the full weight of my ignorance, helplessness and abject sense of failure tinged with anger. Day two in drama school proved less embarrassing than the first, and with applause still ringing all around, the director took me aside, asking me how I did it. He claimed never to have seen such an overnight transformation. How did I step out of my strappy sandals and into Joan’s knightly silver sabatons? I couldn’t really explain it to him any better than this: I got real. I took yesterday’s humiliated, let down, incompetent me and infused Joan’s speech with her. Amazing how similar disappointment and not being burnt at the stake can be! Since childhood, it was the first time I’d looked for my own authenticity, the real me. What’s so hard about being genuine? I’m not sure. Feeling intimidated could be part of it. Or else remembering a rocky childhood. Expectations set too high, too low, or not at all. Cultural acclimatizing, when living in a certain environment demands changed behaviors. Maybe pure and simple low self-esteem. Who knows? Maybe it is just the unceasing busyness of life that gets in the way for all of us, persuading us there isn’t time to reflect on how we really feel and what we can do to change that. But this is a New Year, 365 days, including slipping and sliding, to reflect, to be authentic, to be real. 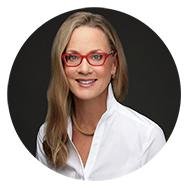 In a recent TED Talk, a well-known public figure reminded her audience that most of us are living at least a third longer than the previous generation, and not in a state of decrepitude. At 90 and 100, some of us are still in decent shape. She suggested this third act of our lives might be about discovering or recovering our authentic self, after a professional life, marriage(s) and parenthood. This could be the time to embark on a spiritual journey, to find and to know, perhaps for the first time since childhood, our authentic self. Well, not for me. I want the Real Thing, not a substitute. Without that, the performance stinks. Life is short. Who wants a stopgap? Things only fall into place when we allow ourselves to be truthful. So here’s to the New Year, to filling your silver sabatons or strappy whatnots the very best way you can!